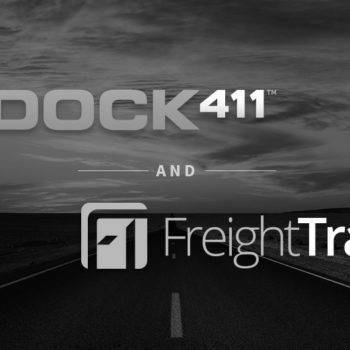 With Dock411 being a new concept to the trucking industry, we get a lot of questions about how and why we do what we do. So here are a few of the most common ones. How does Dock411 collect dock information? Here at Dock411 we get our information three different ways. We have a small internal team that actually travels to different industrial parks and takes pictures, gathers information and enters it into the app. Included on our team are retired/injured truck drivers that we have hired to collect and enter information via phone calls and their own records. 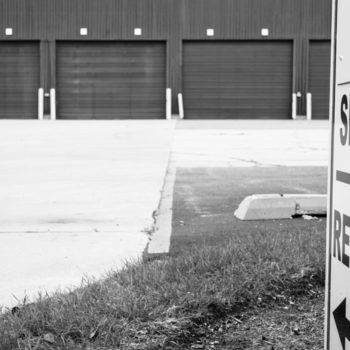 Dock411 works with shippers to provide what they want a driver to do when they arrive at their facility. What to do, what not to do, what are the rules and procedures, etc. Since there are upwards of 50 million docks in the United States and Canada, there’s no way our team can cover all those locations! So we lean on the truck drivers to give us their review of those docks through the Dock411. By a driver taking the time to review a shipper, it can help the next driver coming to that shipper. Making a more efficient industry. The app allows drivers to see and add details about shippers as they visit them. Drivers search our database for the address on their bill of lading which will bring a list of businesses/docks at or near that address. If the business/dock you are are headed to is on the list, select it and you will be able to do one of two things. First, if there is a listing for the business/dock in the Dock411 system, it will show you its the dock details, photos and satellite map location if previously added. After those initial steps, you can click confirm to save the location. You will be awarded points (see next questions), and the app will give you the option to add more information or head back to main screen. If you choose to add more details, it will take you to the dock information screen where you can tell other drivers about the maneuverability, wait times, parking situation, lumper fees, restroom availability and much more! Save the updated info and you’ll be awarded even more points! If you look up a dock that has already been added to the Dock411 system, we encourage you to add your personal experience by simply clicking the update button on the top right corner of the dock screen. We keep track of all our drivers’ entries and average up the ratings for each dock attribute. I get points when I add a dock or enter information. What are these points for? Points are given to users for adding docks and dock information to the app. Dock411 points accumulate and the most active users (of the week, month and all-time) make it to our leader board! We also do random gift card and Dock411 swag giveaways. The more dock details you enter, the greater the chance of getting picked! What do the 3 different icon colors mean on the dock information screen? We implemented a color-coded ratings system for dock attributes to keep things quick and simple for drivers entering info at stops. The dock attributes will have either 3 or 4 states (colors), depending on if they are a yes/no item, or a rating. For a simple ‘yes’ or ‘no’ attribute such as “Overnight Parking”, there are 3 states: Yes (green), No (red), and I don’t know/No information available (gray). For an attribute that’s to be rated such as “Maneuverability”, there are 4 states: Good (green), OK (orange), Bad (red) and I don’t know/No information available (gray). So how many locations does Dock411 have? In the Dock411 database, we have nearly 500,000 locations! Not all 500,000 locations have a full set of dock details yet, but we’re working everyday to get as many docks and their details in our system for drivers to see. How many users does Dock411 have? We just launched a campaign called Road to 10K in effort to get to 10,000 users as quickly as possible. The more active Dock411 users we have, the greater the benefit to everyone! The Dock411 app has a sponsorship program. The program is for companies that support Dock411, our mission and want to join us in helping drivers. There are a few levels of sponsorship, but all tiers include a logo spot and link in the mobile app, web version and website as well as shout-outs on our social media pages. We’re launching our web version of Dock411 at the end of 2017! Aside from the app, users will be able to access an online version of Dock411 from their laptops and desktop computers. Having Dock411 on the web allows other audiences to interact with Dock411. Now freight brokers, trucking companies, shippers and different trucking technologies will have access to dock information, in turn helping them with their business decisions hopefully making their days run smoother. Does Dock411 track me and sell my information? Trust us, we don’t have the time to keep tabs on you. We have enough to do over here. Our aforementioned Dock411 team, which includes veteran truck drivers, reviews and verifies dock information entered by the users. We use our web-based system called The Forge to review new data every day.